Cosmetic Dentistry in Brockton MA – Enhance your Smile! The purpose of cosmetic dentistry is not only to enhance the appearance of your smile but also to place you on the path towards a lifetime of improved dental health. When your teeth are discolored, cracked, unevenly spaced or decayed, it is a problem that can lead to self-esteem issues as well as various complications if left untreated. To ensure that the health and aesthetic aspect of your smile are well cared for, we at Massasoit Dental Associates are proud to offer cosmetic dentistry to Brockton, MA, and surrounding areas! As a progressive group practice, we utilize only the latest tools and technology for state-of-the-art dental services in a relaxing environment. Our cosmetic dentistry service is further enhanced by our innovative imaging process, which allows you to see an accurate rendering of the end result when your dental procedure is completed. Teeth Whitening – As you age, your teeth will darken naturally as well as a result of your diet and lifestyle choices, such as coffee, smoking, poor dental hygiene and more. Unlike many unreliable over-the-counter whitening systems, our professional in-office and take-home whitening is guaranteed to provide you with the bright, white smile that you deserve. Porcelain Veneers – With thin, semi-translucent shells of porcelain and a simple procedure with only 2 office visits, you can solve many common cosmetic or even orthodontic problems. We fully customize your veneers for a subtle yet life-changing improvement to your smile. Composite Bonding – Similar to veneers, this inexpensive option can correct a wide range of minor dental problems within a mere hour. This treatment requires no removal of your natural tooth enamel, although it is also equally prone to damage as your natural teeth and thus requires delicate care. Dental Crowns and Bridges – There are many serious dental problems that require extensive intervention, such as tooth loss and tooth decay. Whether you have undergone a root canal therapy or require a full replacement of one or more teeth, crowns and bridges are often the fastest and most effective choice. Tooth-Colored Fillings – In many cases, tooth decay can now be removed and your tooth repaired without drilling or anesthesia. Instead, we use our air abrasion system to achieve optimal results with no discomfort. Orthodontics – We offer a variety of different orthodontic treatments to help make your smile look its best. Aside from Invisalign, we also use clear, ceramic, and metal braces. Invisalign – Invisalign is one of the leading treatments for correcting and straightening teeth. 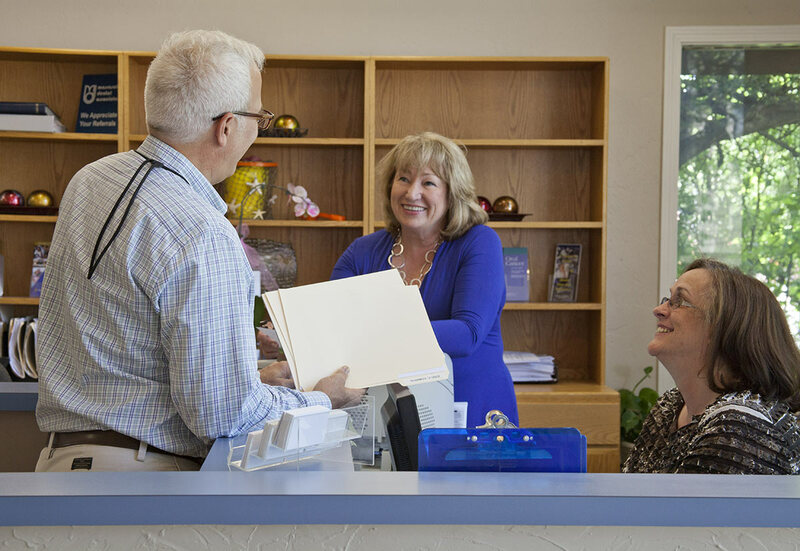 With a visit to us, we will make a personalized treatment plan for you to give you the smile you want. Dentures – If you’re in need of dentures then look no further than our denture lab. We specialize in dentures and giving our patients back their smile and confidence. Dental Implants – If you’ve lost a tooth or multiple teeth, than a dental implant may be the right choice for you. We use advanced equipment to get your smile back to perfection. Our team of cosmetic dentists are fully trained in all the industry-approved methods and procedures. We understand that every patient’s dental needs and goals are different, and thus we have made it our goal to meet and exceed each and every one of those needs. To learn more about our cosmetic dentistry services in Brockton, MA, please do not hesitate to contact us today. You can reach the experts from Massasoit Dental Associates by phone at (508) 583-0103 or by filling out our online contact form.